TNPSC Syllabus And Examination Pattern - TNPSC.Gov.In IndiaJoining.Com – Govt Jobs, Sarkari Results and Much More! 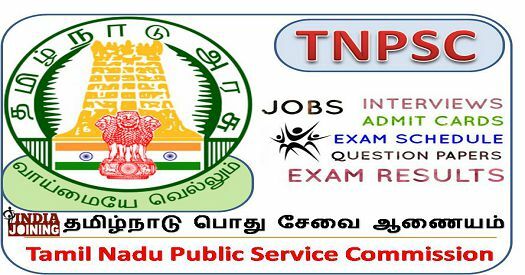 About TNPSC: Tamil Nadu Public Service Commission (TNPSC) conducts various recruitment and competitive / departmental examination tests for the selection or promotion on several civil and administrative posts within the state of Tamil Nadu. Download the Syllabus of Tamil Nadu Public Service Commission for various recruitment tests. Syllabus of TNPSC Competitive Examinations has been provided here. Download the updated syllabus of TNPSC. Syllabus of TNPSC Competitive Exams and Recruitment Tests – Free Download! Download the Syllabus of Tamil Nadu Public Service Commission for various recruitment tests. Syllabus for various Competitive Examinations of TNPSC/Tamil Nadu Govt has been provided here. Download the updated syllabus of TNPSC and other Govt Institutes. This page will be updated regularly to provide more fresh syllabus and schemes of various examinations of TNPSC. Keep visiting. ISRO Careers 2018 — IPRC Apprentices 205 Posts, Apply now!